This light weight thermal insulating tape reflects radiant heat away from wires, lines, cables, and more. 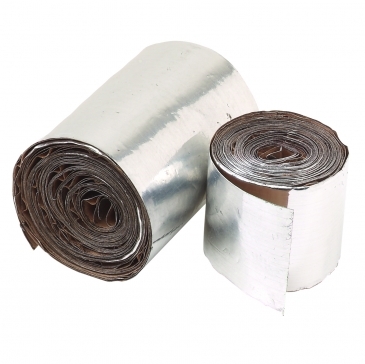 This tape is an excellent way to insulate components without disassembly, or use it as a means to finish off other forms of thermal insulation to prevent fraying. This foil tape is very economical compared to other forms of heat protective tape, cuts easily, and has a self-adhesive backing that sticks to any clean surface. This reflective heat shield tape withstands 1000F of continuous radiant heat and up to 400F direct contact.